Life to me is a journey, you never know what may be your next destination! It is you and our love that's etched upon my heart. You alone I dream of, when I think of myself happy ever after. I wake up saddened, because I miss waking up hearing your voice. My heart starts racing as the phone rings, it is you and you say "we'd be together soon my love"
Together two happy souls once again, as I take your hand and kiss your lips, a feeling I again want to feel. And I don’t find a reason to smile. With you by my side, my numbness turns into a smile. Strip the Price – ZAPstore.com. “Authenticity” is the most essential criteria for sustainability and success of an online retail store. I was not quite an avid online buyer, simply because I have seen many of my friends placing an order for a product hoping it to be exactly what they see online but receiving a completely different product altogether when its shipped to them. A sense of fear was always instilled within my mind regarding the authenticity of the products shown on the websites till I was introduced by one of my friends to a new online gadget store named – Zapstore.com. The website is beautifully designed with no annoying pop-ups and is very user friendly. Recently I bought a Sony Cybershot from Zaptore.com. Frankly speaking I wasn’t expecting them to deliver me on the date they promised me to, owing to my previous experiences with other online stores. But I was really happy and surprised to get the camera right on the day they promised with no additional shipping charges. What adds to the happiness is the product being exactly what we see in the catalogue and the option of payment on delivery. Zapstore provides a wide variety of electronic products ranging from high end Tablets to Pen Drives and much more. It has a very interesting concept where rather than just “Buying” a product you can “Zap” it too. Zapping is somewhat like bidding which lets you lower the price of the product below its market price. Amazing isn’t it! Yes, that’s what I felt too, when I first heard about it. Moreover when you sign-up with Zapstore, they give you 2 Zaps free. For further information they have put up a video explaining the entire concept of How to Zap / Buy? A really unique and exciting online shopping experience is what Zapstore is all about. I am really happy with their services being one of their customers, since they are genuine and provide exactly what they show on their website. I would definitely recommend you to check out Zapstore.com. They have also provided with their registered office address and their telephone number on their website, and yes for the latest updates regarding their products and prices you can also visit them on Twitter and Facebook and stay updated. I love you and always will…. Filled with emotions which I could never speak. I gave her a warm hug. Wishing I had her forever and gave up the world instead. Wishing to hold every moment passing by, trying to stop time. But words felt short with the feeling of us being torn away. Watching her as she walked away, and finally mixing with the crowd where I can never find her again. Wish I could be with her, but she never came back in my arms ever again. 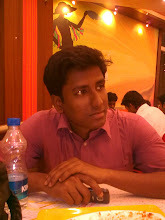 Romeo Das is a blogger from Kolkata and he has been a part of the blogging community since 2009. WebSnacker - Automat For The Web Wanderer - Free Morsels to Read, See, Hear & Experience! This Journey Called Life !! ...my journey of life by Romeo Das is licensed under a Creative Commons Attribution-NonCommercial-NoDerivs 3.0 Unported License. No one else can speak the words on your lips. Drench yourself in words unspoken. Live your life with arms wide open. Today is where your book begins. The rest is still unwritten. Thank you for dropping by, keep visiting. - Copyright © 2009-10 ...my journey of life.